This year, Thanksgiving fell on Geoff's birthday. And…..he was supposed to work…but, thankfully, someone volunteered to work for him! So we made him breakfast in bed. 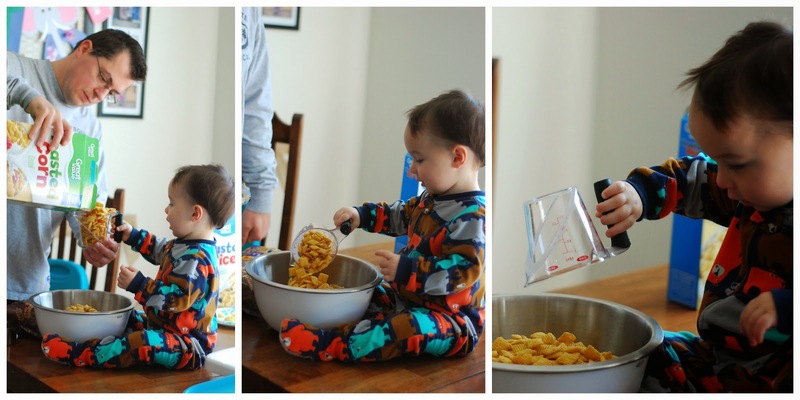 I let him sleep in and the kids had already eaten….but for some reason…his food tasted better than their's, I guess. Because they kept eating off of his plate. Especially Nolan. 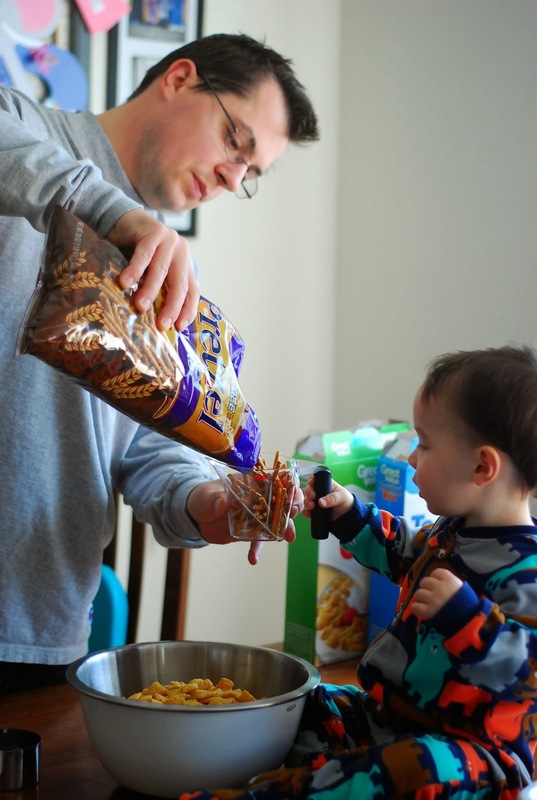 After breakfast…Nolan helped Geoff make Chex Mix. And a little play time afterwards. The night before…these 2 helped me make Geoff's birthday cake. We went to Geoff's dad's house for Thanksgiving dinner. It was such a treat! We haven't spent a holiday with them in a few years due to our work schedules. And what was even more special…was that all of my mother-in-law's children were there, too (some live out of state). So…. the whole family under one roof. We had a great day, but I didn't take any pictures. Someone sent me this picture of Geoff blowing out his candles. Love the looks on Nolan's face when he's helping y'all! So Adorable! Loved all the pictures as usual!